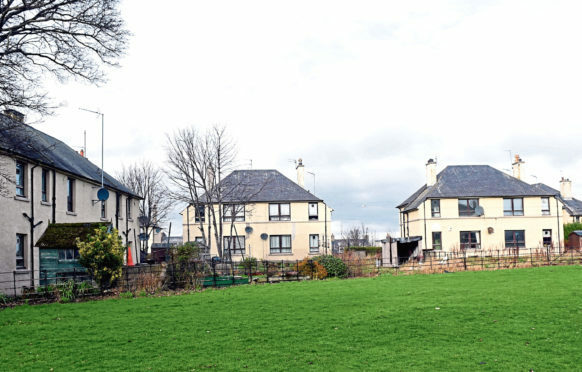 Scores of council flats in Aberdeen are to be demolished as they are sinking into the ground. The city council has confirmed that 48 council properties and four private ones are to be bulldozed on Errol Place and Errol Street. A survey of the 13 blocks conducted in August showed “movement was occurring” but that they were still “safe for habitation”, according to the local authority. Now the council’s city growth committee has given the go ahead for the latest demolition. Current tenants will be given priority on waiting lists for rehousing and will also receive payments. A business case was prepared by officers considering four options for addressing the problem: external fabric repairs, mass concrete underpinning, micro piling and ground beams and demolition. The recommended option was to demolish the flats as the most cost effective method of dealing with the subsidence impacting on all properties on the site. Residents were officially notified yesterday about the decision. Council co-leader Douglas Lumsden said: “We fully appreciate we are talking about people’s homes – and that is why the council has engaged with residents throughout the process. Negotiations are to take place with private owners to purchase their properties, which would include making compensation payments. It would take around 12 weeks to totally demolish the buildings. John and Marilyn Davidson have lived on Errol Place for 16 years and told our sister paper the Evening Express they were pleased with the demolition plans.